A negative correlation between vitamin A intake and the incidence of epithelial tumors was observed about 80 years ago. This observation was followed by multiple studies, which have demonstrated that vitamin A and its metabolites as well as synthetic analogs (retinoids) could suppress carcinogenesis in a variety of epithelial tissues. In parallel, vitamin A and retinoids inhibit squamous cell differentiation in normal keratinocytes and in malignant squamous cell carcinomas (SCC) including those of the head and neck. Because the use of natural retinoids in the clinical setting was hampered by adverse side effects, synthetic retinoids were developed with the hope that they would exhibit potent anticancer chemopreventive and therapeutic properties but much lower toxicities than natural retinoids. In addition, synthetic retinoids and retinoid-related molecules, such as fenretinide [N-4-hydroxyphenyl)retinamide; 4HPR] and the adamantyl retinoid CD437, respectively, induce cancer cell apoptosis through retinoid receptor-dependent and more often independent mechanisms. 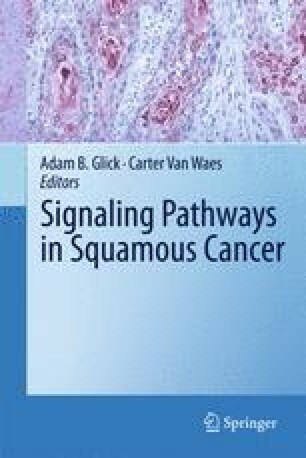 This chapter reviews the major effects of retinoids on squamous cell differentiation, cancer cell growth and apoptosis, and aims to provide new insights into common and distinct mechanisms of action among the naturally occurring retinoic acid and the synthetic derivatives, 4HPR and CD437, in normal and malignant squamous head and neck cells.